Fondly known as ‘Guru Ji’, Bellur Krishnamachar Sundararaja (BKS) Iyengar, the innovative, creative, and disciplined yoga master, passed on in August 2014 in the city of Pune. He was 95. He is remembered not only for introducing and popularising yoga in the western world (there are Iyengar yoga schools in 72 countries on six continents) but also for making yoga accessible to millions of people of every age, by encouraging them to counter their physical or mental challenges through the practice of yoga. Among his students were the famous violinist Yehudi Menuhin and many other musicians, author Aldous Huxley, Queen Elisabeth of Belgium, (who learnt the headstand at the age of 85), cricketer Sachin Tendulkar, and other celebrities. Mr Iyengar was named one of the world’s 100 most influential people by Time magazine in 2004. His book “Light on Yoga,” part of a trilogy, is an international best seller. It has been translated into 18 languages. 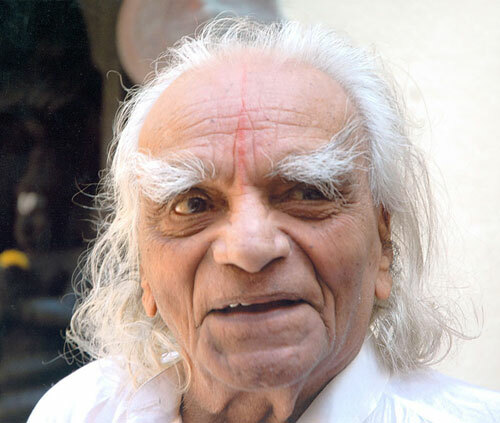 Iyengar was born on Dec. 14, 1918, into a poor family in the southern state of Karnataka. The 11th of 13 children, he suffered from multiple illnesses during his childhood, and lost his father when he was 9 years old. A frail child, he was unable to complete his schooling and began studying yoga, at 16, under the tutelage of his brother-in-law at the Jaganmohan Palace, where he became the youngest member of the Maharaja of Mysore’s entourage. At 18 he was already teaching yoga. A brilliant teacher, Iyengar gave enormous attention to the practices of asana and made Yoga a safer practice through the introduction of props such as blocks, blankets and ropes. The use of such props also made yoga accessible to all especially those with disabilities. Having dedicated almost eight decades to the practice and promotion of Yoga, Mr Iyengar acquired a huge global following – he was a mega pop star of sorts of yoga. Novelist Chandrahas Choudhury, writing in Bloomberg View earlier this year, made a strong case for his nomination to the Nobel Peace Prize. Mr Iyengar is survived by his six children - a son and five daughters – and grandchildren. A few months before he passed on, SALT had the privilege of a Q & A with Mr Iyengar. We are proud to share the hitherto unpublished Q & A with our readers.